Online tea towel boutique, ToDryFor, are teaming up with The Sick Children’s Trust to raise money for families with seriously ill children in hospital. 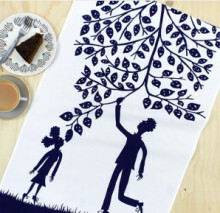 ToDryFor have produced a bespoke tea towel for The Sick Children’s Trust and will donate all of its profits from sales to the charity’s Big Chocolate Tea campaign. Ronnie underwent major heart surgery earlier this year but was back playing football within weeks! 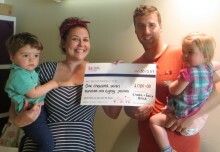 He decided that over the summer holidays he wanted to raise money to thank us for keeping his family by his side at Scott House. 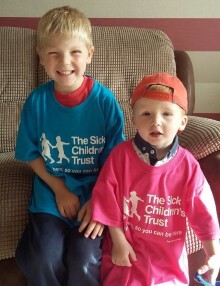 This year Chalkwell United FC have chosen The Sick Children's Trust as their charity partner. 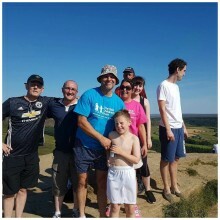 On Sunday 10 September, Ros will be taking on the Great North Run after being inspired by her grandson Freddie who continues to fight an extremely rare condition in Sheffield Children's Hospital. 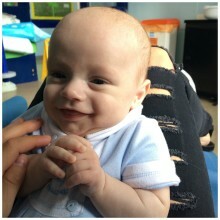 When Oliver was born seriously ill, he needed specialist treatment at Sheffield Children's Hospital and during this time, we supported his family at Treetop House. Now Dad Adrian is taking part in the Great North Run to thank us for our support. 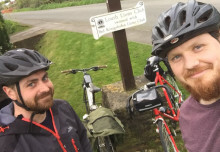 Michael Winter, 29, and two friends, Daniel Corkhill and Callum McCombe, cycled 130 miles from West Cumberland Hospital to Freeman Hospital in Newcastle last month in memory of Michael’s daughter Hope, who tragically died at just six months old. 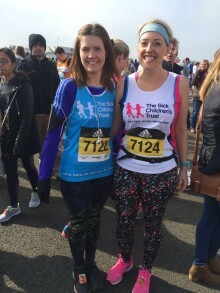 Mum Jessie will this year be taking on the Great North Run as thanks for supporting her on two occasions in 2016 when her daughter and later her son were both admitted to Addenbrooke's Hospital for lifesaving treatment. 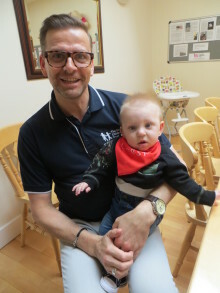 We supported Lewis in Crawford House earlier this year when his son Max was born. 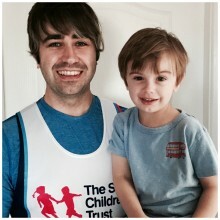 This September he will be racing in the Great North Run and hopes to finish in the top 50. 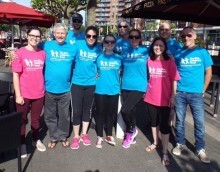 We supported Julie when her daughter Rebecca was seriously ill in Great Ormond Street Hospital and since she has been fundraising for us along with friends and family. 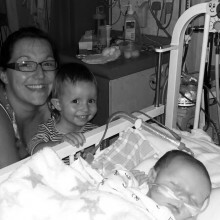 We supported Mum Allison when her daughter, Delilah was born at 24 weeks and to thank us for our supported she is donating 10% of profits from her bespoke Little Delilah clothing range to The Sick Children's Trust. 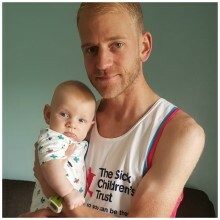 Great British Long Distance Runner Mark Draper is running this year's first ever Bedford Half Marathon on behalf of The Sick Children's Trust to thank them for supporting his niece Erin when she was seriously ill.
Two brothers have raised £1,230 to say thank you to The Sick Children’s Trust for supporting their family when two year-old Ethan was seriously ill in hospital, miles away from their home in Darlington. 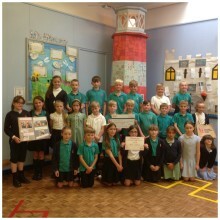 Year Four pupils from a Leeds primary school have raised £1,470.89 this year for The Sick Children’s Trust as part of the nationwide Make a Difference Challenge. 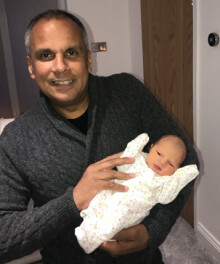 An inspirational uncle will be cycling 100 miles to raise money for The Sick Children’s Trust to say thank you to the charity that supported his nephew whilst his great niece was seriously ill in hospital. 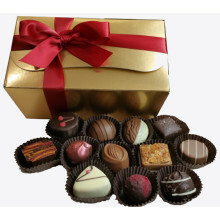 Popular Belgian Chocolate shop, Bellina Chocolate House, has pledged to support The Sick Children’s Trust as its 2017 charity of the year to raise money for families with seriously ill children in hospital.